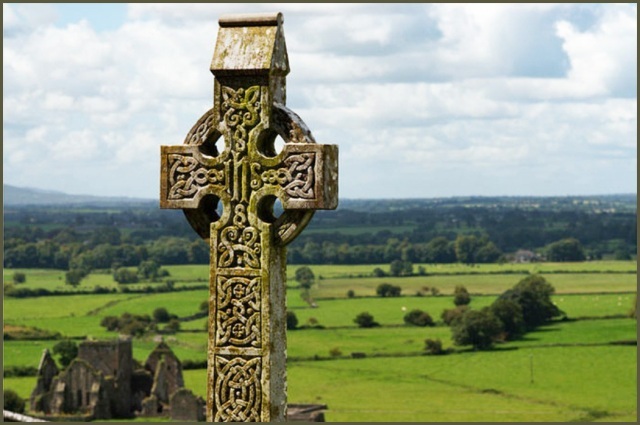 Celtic crosses like this one dot the Irish and British landscape and serve as a reminder of the antiquity of Christianity on the islands. I am collecting Celtic language Bibles! 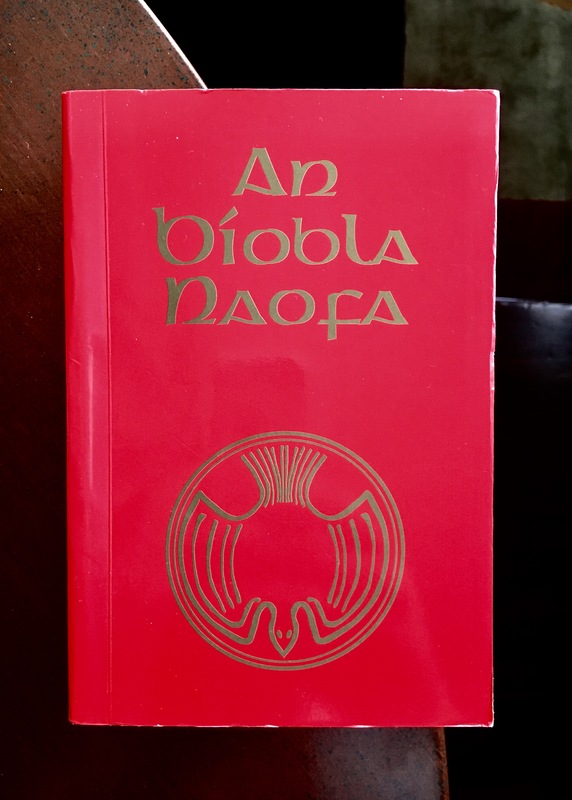 My most recent acquisition is An Bíobla Naofa, or, “The Holy Bible” in Irish. (I say it was recent – it was toward the end of 2016. Suffice it to say, I’ve been procrastinating on writing this.) 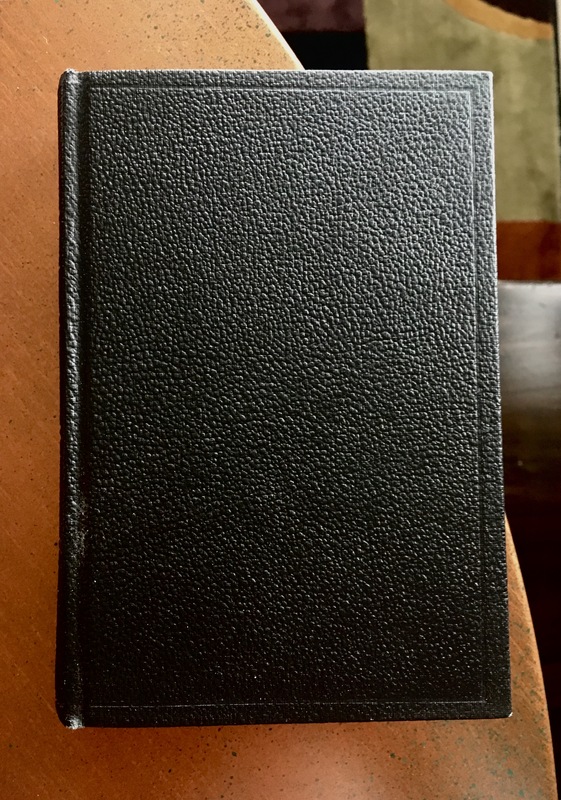 It is a Catholic translation, so it has the Deuterocanonicals in addition to the regular books (which is always fun, especially when one is looking for Wisdom of Solomon 13:1-5, Sirach 26:25 [especially in the GNT, NEB, REB, and NABRE – this deserves its own article], and Sirach 31:21). 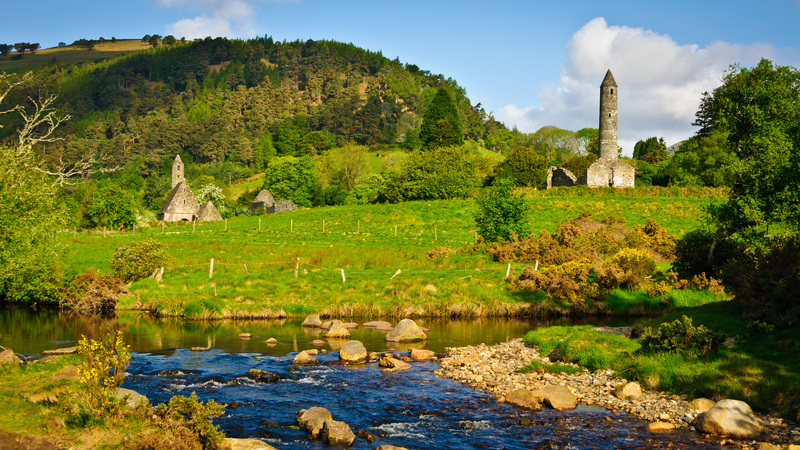 Irish church ruins along the Wicklow Way in Glendalough. 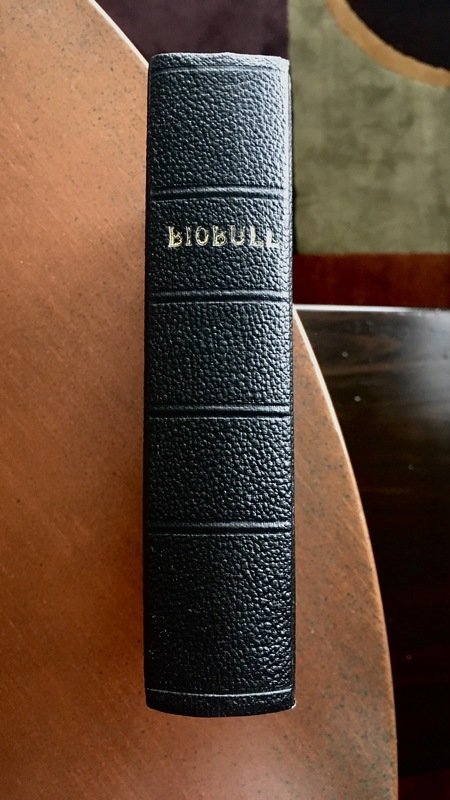 For those who are curious, the main “Protestant” Irish translation is Bedell’s translation (originally published in 1685, most recently published [in revised form] in 1817). I’m told that the Irish in that differs more from modern Irish than the English in the King James Bible differs from modern English. I wonder if anyone will ever do a modern, Protestant translation. Probably not. Alas. Front cover of the Scottish Gaelic Bible. 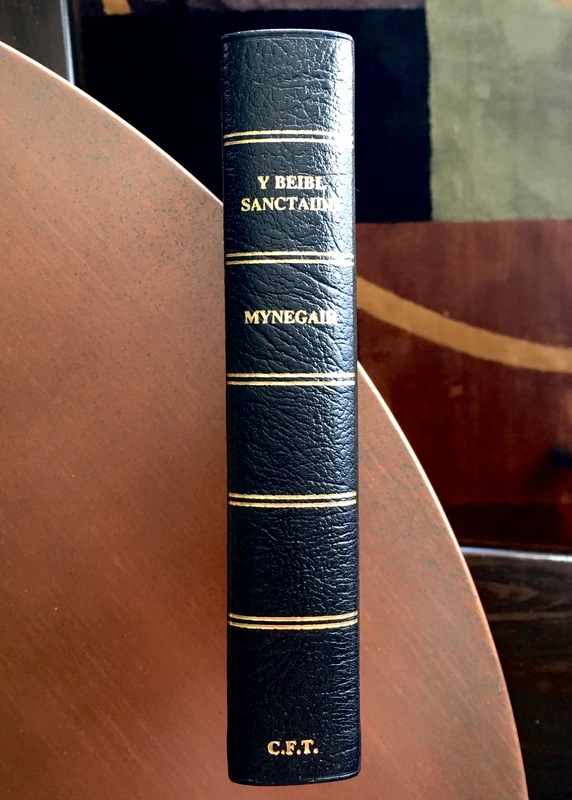 Spine of the Scottish Gaelic Bible. 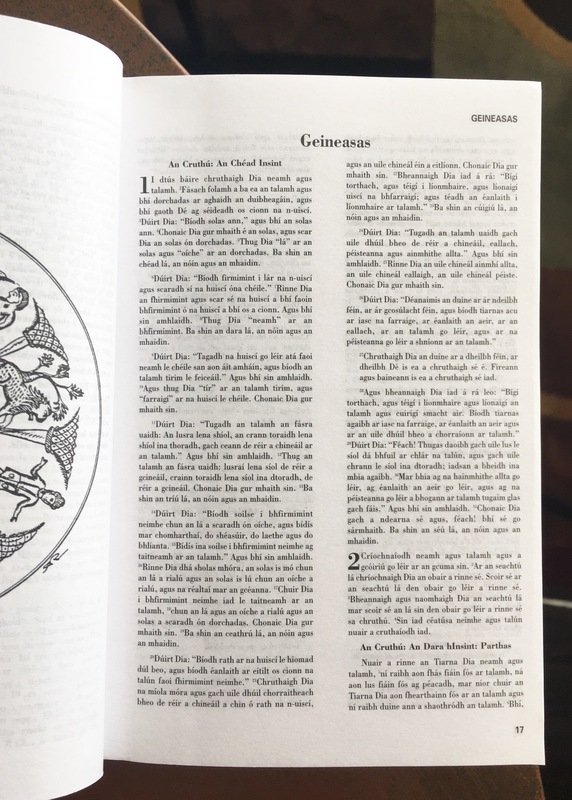 The first page of Genesis in Scottish Gaelic. Front cover of the Bible in Manx. 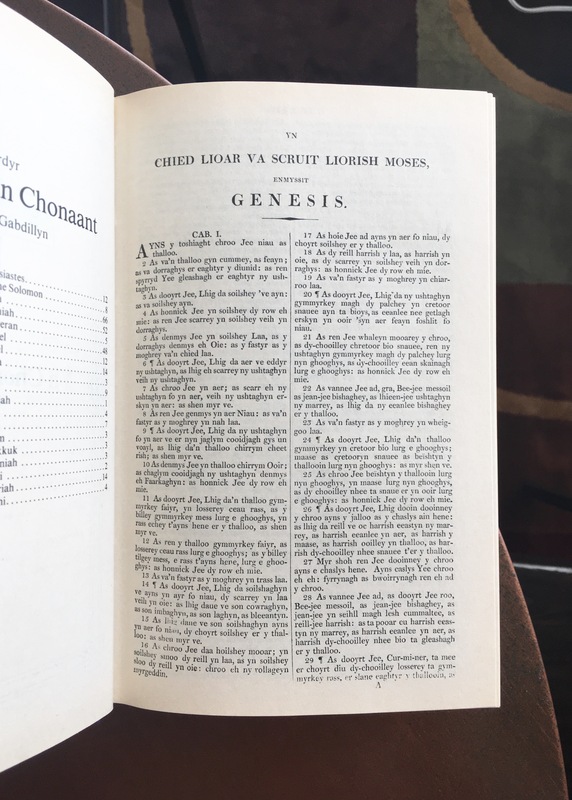 The first page of Genesis in Manx. Front cover of the Bible in Welsh. Spine of the Welsh Bible. 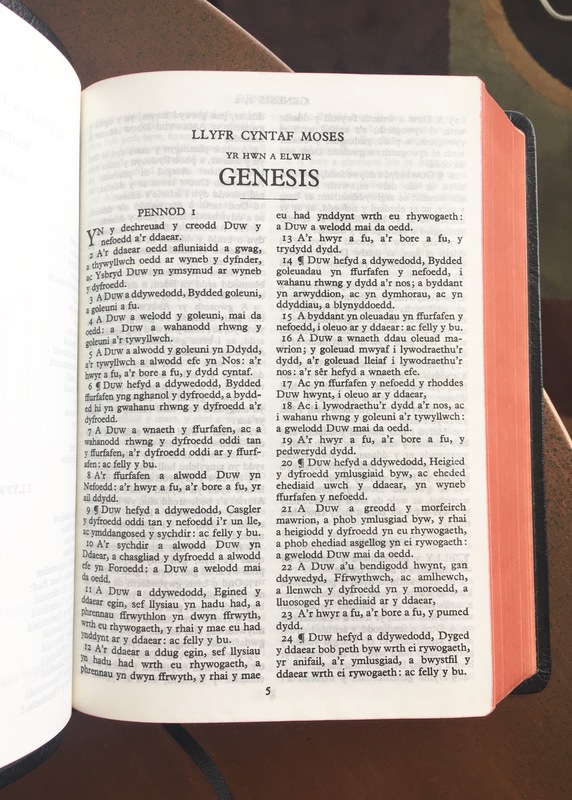 The first page of Genesis in Welsh. 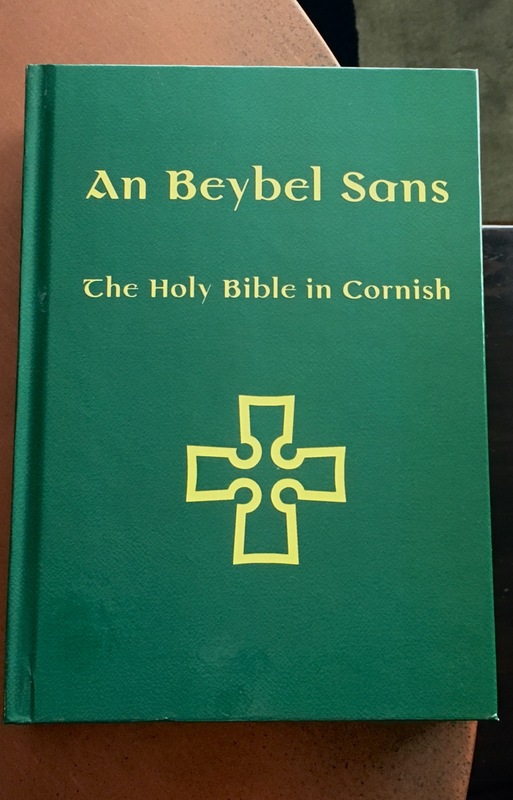 Front cover of the Bible in Cornish. 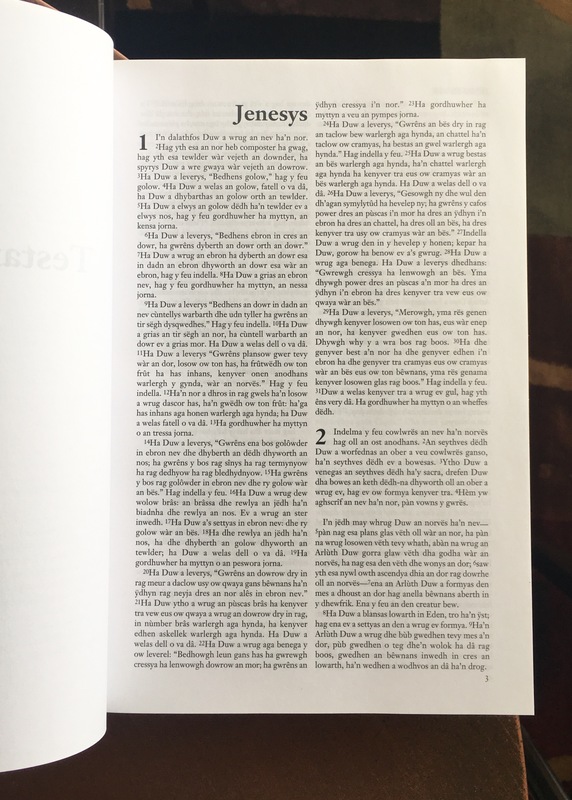 The first page of Genesis in Cornish. 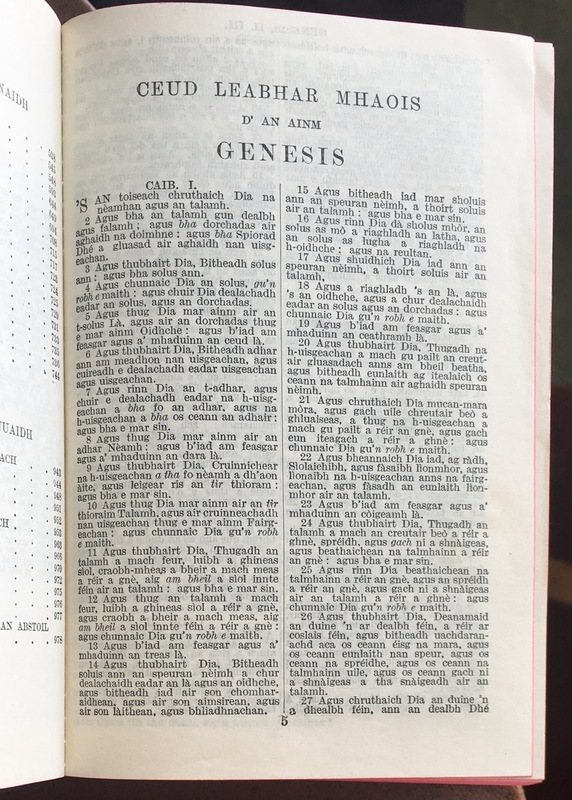 The first page of Genesis in Irish. 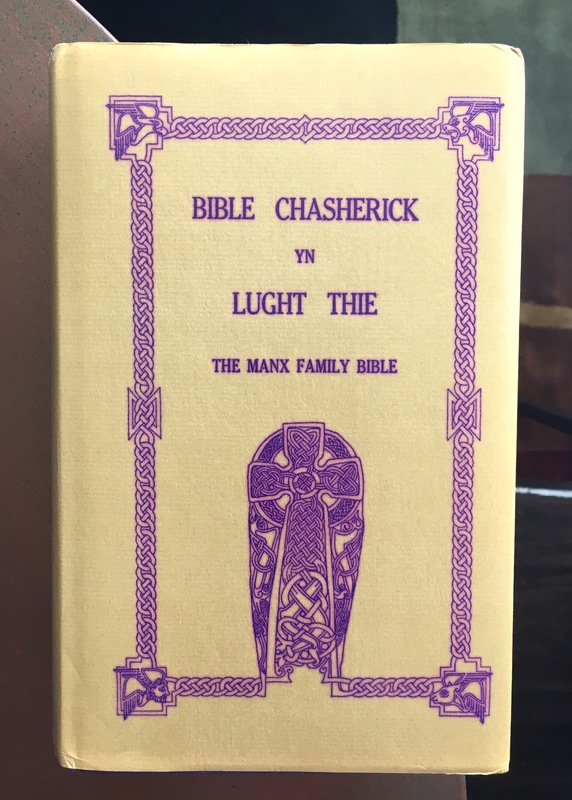 IMPORTANT NOTE: in my article about my Manx Bible, I mentioned the nice girls from the Isle of Man who sent me my Bible. I have a similar story about my Irish Scriptures. I knew the An Bíobla Naofa existed, but I couldn’t find an acceptable place to purchase one. 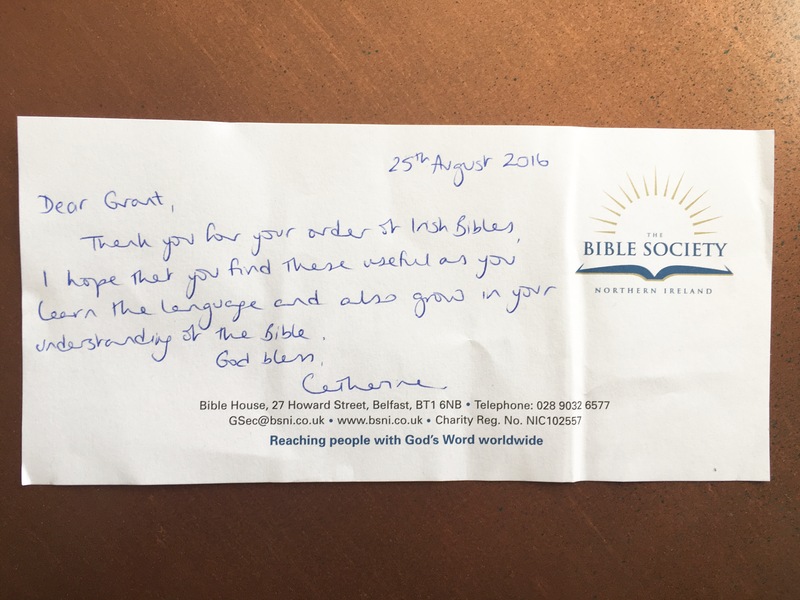 Enter the Bible Society of Northern Ireland. I decided to check out their site to see if they had any Bibles for purchase, and sure enough, they did! I sent them an email inquiring into which translation they had for sale, and a wonderful lady named Catherine Little answered with very helpful information. 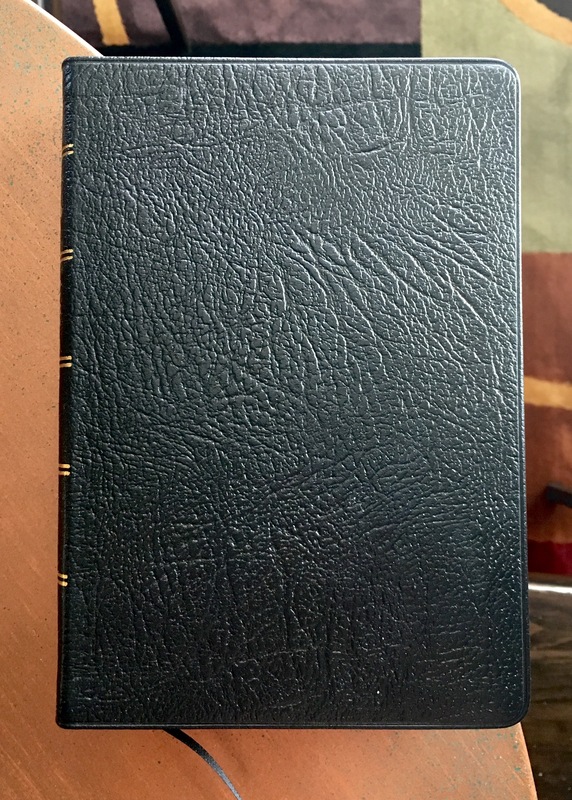 She helped me acquire both An Bíobla Naofa and an Irish New Testament that was originally published in 1970 (a translation of the Revised Standard Version). Connecting with Christians around the world is wonderful.